Does your business have a lobby? If so, do people frequently come inside and ask if they are in the right place or not? This is not a good thing, because it means that you are not making it clear who you are (as a business entity). 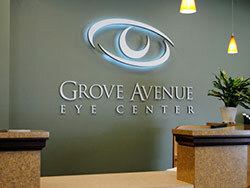 A professional lobby sign let’s everyone know exactly where they are, there is no need to inquire. It also adds an air of professionalism. People feel confident knowing they are with professionals, and this can happen on a subconscious level. Do you have a number of suites or rooms in your office? If so, they need to be clearly marked with easy to read and understand office signs. This is the best way to keep people from entering the wrong room and interrupting others while they are conducting business. Many businesses serve clients today in a number of different rooms. This is important for service-oriented businesses today. However, if you have several rooms that are not clearly marked it can create confusion, which is probably not what you want your potential clients to be feeling. 3. Have I Been Here Before? Did you ever walk into a place of business and wonder if you have been here before? A déjà vu experience can sometimes occur when a business fails to make a major impression on you. Again, with the right office signs in place, there is no doubt where you are. As an experiment, try taking down an indoor sign and see if anyone notices. If employees go about their daily business with no mention of the missing sign, something could be missing from your business. When an important sign (which gather attention) is suddenly gone, it will leave a noticeable void in the office and when this doesn’t happen, you might want to consider more effective indoor signage. Dave’s Signs provides office signs, customized to your needs. This can make a big difference in the atmosphere of your business.